Yes, I have reviewed this book before. If you want to read my original review click here. I almost didn’t re-read it because Kayla reviewed it for Disabilities week, but then I said the heck with it! I want to review it for reread week because I want to reread it. So here I go! I seemed to have picked the perfect books to reread because both ORS and now Maybe Someday seemed to be better than I remembered them to be. Maybe Someday is perfection. I know not everyone likes the story because they have an issue with a certain part of it, but I just think that the journey makes it okay. The characters are so honest and raw that it feels as if I know these characters personally. That I am their friend and I am first-hand seeing them go through all of this chaos. My heart broke, clenched, sped up, and beat along with Sydney and Ridge. Just like ORS, I love that this centers around music as well. Like I said before, sucker for music influenced books, and a sucker for musicians. It can’t get any better than this. Is it horrible of me to say that I kind of aspire to be Sydney, not what happens to her of course, but the qualities she possesses, she is so selfless… it’s amazing! Ridge and Sydney (about 95% of the time) handled everything with such maturity that I only wish if I was ever in any type of difficult situation I would be as mature as them. I first read this book when I was younger than the characters and I saw them all grown up and independent, but this time around, I’m older than the characters and I was not only able to relate to them, but I also felt older. Crazy really. I’m probably a little more sensitive to age right now because I turned 24 two weeks ago. My concluding thoughts are these. 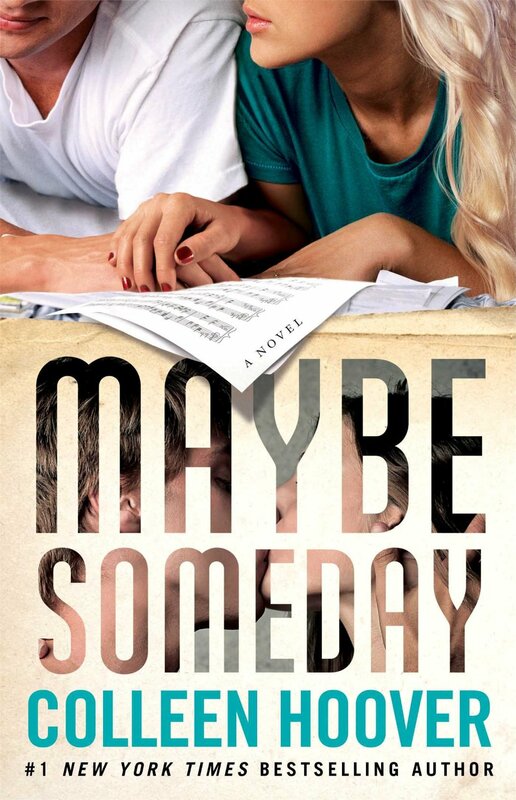 I am so happy I reread Maybe Someday. It makes me happy and warms me on the inside. Rereading is the best!